Automation is slowly replacing numerous manual jobs, but in the case of art, the role of artificial intelligence has only been that of an assistant to human creativity. New and improved AI-based tools are invigorating artists by providing a platform to visualise every idea that inspires them by allowing them to draw, erase and redraw. This effectively eliminates the process of filling trash cans with discarded ideas. Adobe Sensei is designed to make exhaustive processes like subject selection in intricate spaces and other such sophisticated tasks look easy while consuming less time. Adobe’s internal AI is good at detecting/understanding human illustrations of art or any other work. This eliminates the repetitive tasks as it guesses the next possible task/act with round the clock learning from the user’s moves. The content-intelligent services are capable of automatically adding metadata to new and existing assets. Scoring image quality with professional dimensions such as colour harmony, depth of field, the rule of thirds, and object emphasis. Adobe Sensei helps one deliver personalised experiences in real time, learning what customers want, identifying significant events and customised decisions for the user. “Good AI makes life easier. Great AI gets out of the way,” said Sid Shah, Senior Director, Customer and Product Analytics, Adobe. With its rich stock image library, Adobe Sensei can understand not only what objects are in the image, but also deeper concepts like the aesthetic quality, composition, colour palette and even emotional concept behind the image. Adobe Sensei saves photographers the drudgery of tagging thousands of photos while helping marketers and designers quickly tag and organise assets for better ROI. It is Adobe’s another tool utilising AI to power up the software. This tool allows the user to replicate shapes, text and images horizontally and vertically without the need to copy or recreate. Really useful for UI, UX and web designers. Let’s Enhance deploys neural networks to improve the resolution without losing any data. Photoshop was the only option available for image upscaling where the algorithm uses bi-cubic interpolation. Let’s Enhance trained its model on large dataset of images enabling it to learn features of objects with great detailing. So whenever upscaling has to be done, the information lost will be filled up by relevant information from images similar to the work piece. DeepArt is an incredibly popular tool that has been seen in many publications such as The Guardian, The Washington Post and Wired. It uses an artificial system based on a Deep Neural Network that creates artistic images of high perceptual quality. The images generated on the basis of the VGG-Network, a Convolutional Neural Network. It uses 16 convolutional and 5 pooling layers of the 19 layer VGGNetwork. This is a part of Google’s experiment with AI. Here the software allows you to draw something no matter how bleak the idea is. Your sketch will be passed through recurrent neural networks which has been trained on millions of doodles collected from the Quick, Draw! game. 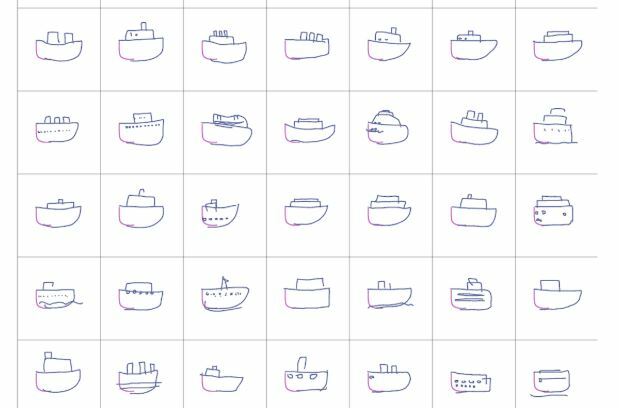 Built on TensorFlow, Sketch-RNN comes up with many possible ways to continue drawing this object based on where you left off. The model can also mimic your drawings and produce similar doodles. Prisma offers a number of off-the-shelf vision tools, including segmentation (separating the foreground of a photo from the background), face mapping, and both scene and object recognition powered by neural networks. The algorithm here is the same as the one used in DeepArt. Prisma identifies the various aspects of your photo or video and transforms it into a style of your choosing. The range of styles available is phenomenal, with you able to choose from the likes of Munch, Van Gogh and Picasso as well as a number of other classic styles. A brand’s logo forms the face and philosophy of the product. It should be translatable and effective. Designers and creative directors conduct brainstorming sessions before agreeing upon an idea which aligns with the core principles of the brand. Tailor Brands replaces all those exhaustive sessions and compensates for your lack of expertise by running your suggestions for logos through is machine learning algorithm. This deep learning algorithm then gives out a new logo which can further be verified and customised according to the need. One just has to be ready with the name of a brand and the deep neural networks take care of the rest in the background, troubling the user with only a few clicks which one would usually be commissioning your product to an agency. The styles can be customised and your products with your brand name can be visualised. Open sourcing advancements in machine learning will empower artists who have been overflowing with ideas and, also have been oblivious to the augmentation that these tools provide.